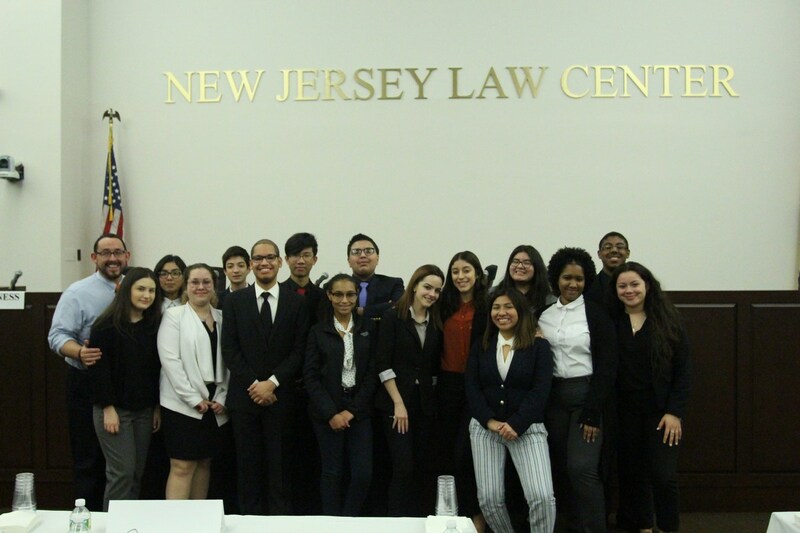 UCHS Mock Trial Team, in addition to winning the Hudson County Mock Trial Championship for the fourth time in five years, advanced farther in the NJ State Tournament than any other previous Union City team reaching the regional semi-finals. All throughout this process, the students pictured below received compliments on their behavior, demeanor, and presentation skills. These young people represented our school community with distinction and class. The fact that this program is able to maintain this level of success for such an extended period of time is a testament to all of the middle and elementary school teachers, administrators, and coaches who have worked with them along the way.